(Sasquatch Books, $16.95) by Moorea Seal. This writing journal—the third in Seal’s “list” series—comes with journaling exercises and “inspiration” that emphasizes the importance of building and nurturing bonds with your loved ones. It’s all set among the tasteful art, illustrations and photography that have become the signature of this Seattle design maven. (Chronicle Books, $14.95) by Frida Clements. 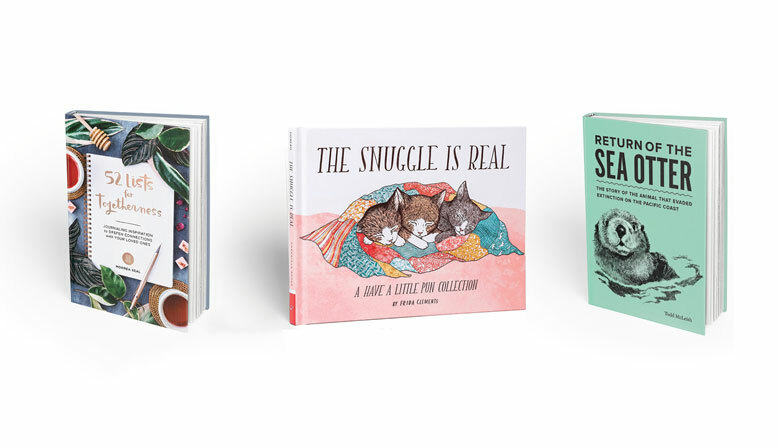 Talk amongst your elves with this beautifully illustrated collection of puns by beloved Seattle-based illustrator and designer Frida Clements. Why? For the pun of it, of course. Spread the word with her accompanying postcard collection featuring pages from her first book, Have a Little Pun.